Recent March Photos & so on!! I cannot believe it is already March 2014! 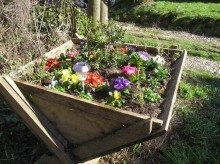 January 2014 – Lots of rain but Warm! 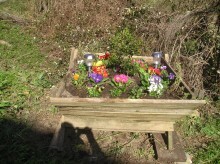 Planted up the corner trough yesterday, primroses & pansies. Very cheerful as you drive up! © 2016 Gilli Palmer. All rights reserved.